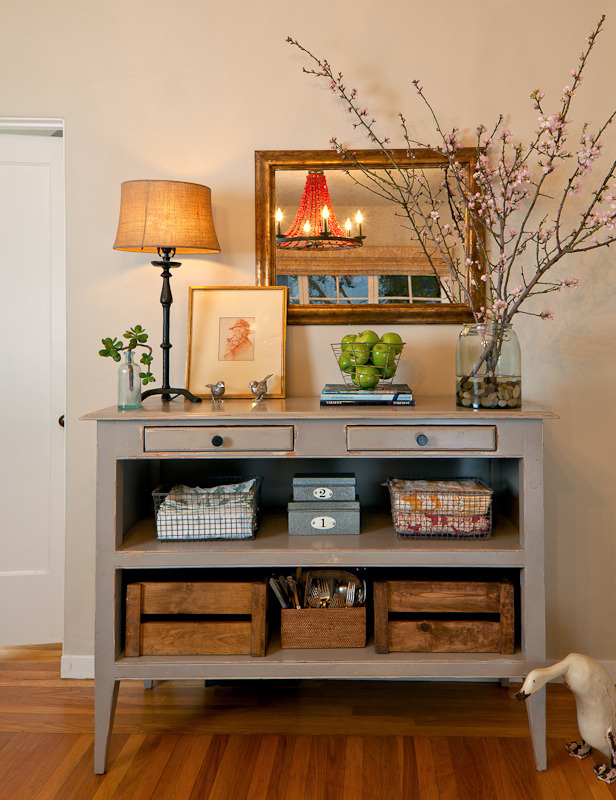 Liz and Tom are originally from the East Coast, and they hold their memories of rustic summer beach houses close. 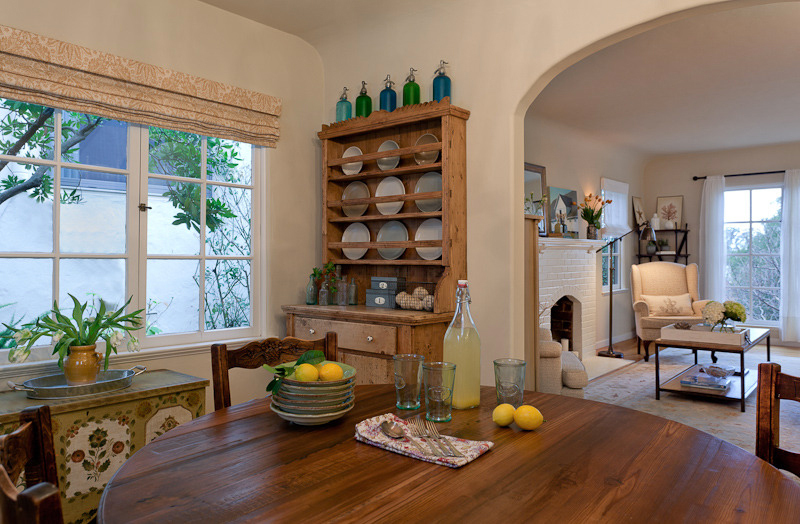 For our project, they wanted to evoke a “fresh from the beach” feeling in their Oakland hills home. I initially met Liz when she needed to reupholster one of her antique chairs in her dark, formal living room. To start, we needed to lighten and freshen up the interior before we could evoke the easiness and lightness of beach living. 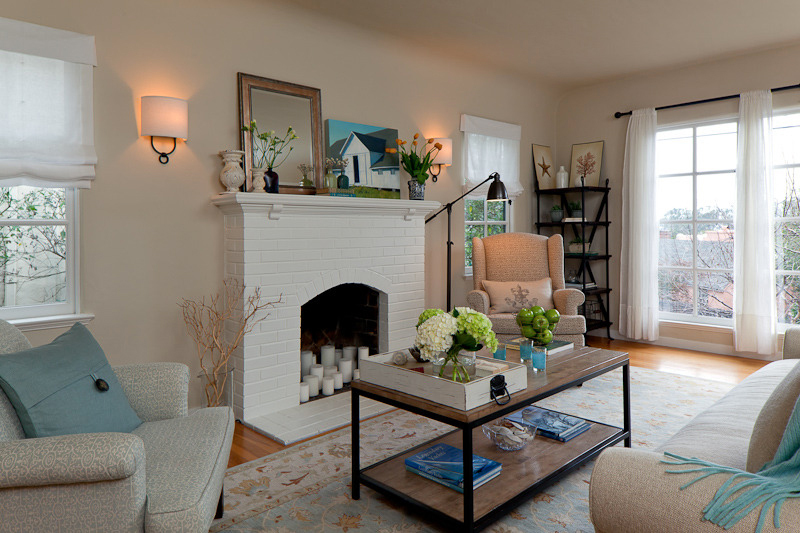 I started by painting their dark red brick fireplace with a fresh white, which instantly transformed the room into a more open, light, and airy space. Liz and I loved working together and getting to know one another as we walked the Alameda flea market for inspiration and treasured finds. We incorporated textures, colors, and elements that inspired that sand-between-my-toes beach vibe; everything had a rustic and organic feel and was colored in hues of sand, warm cream, and ocean blue. 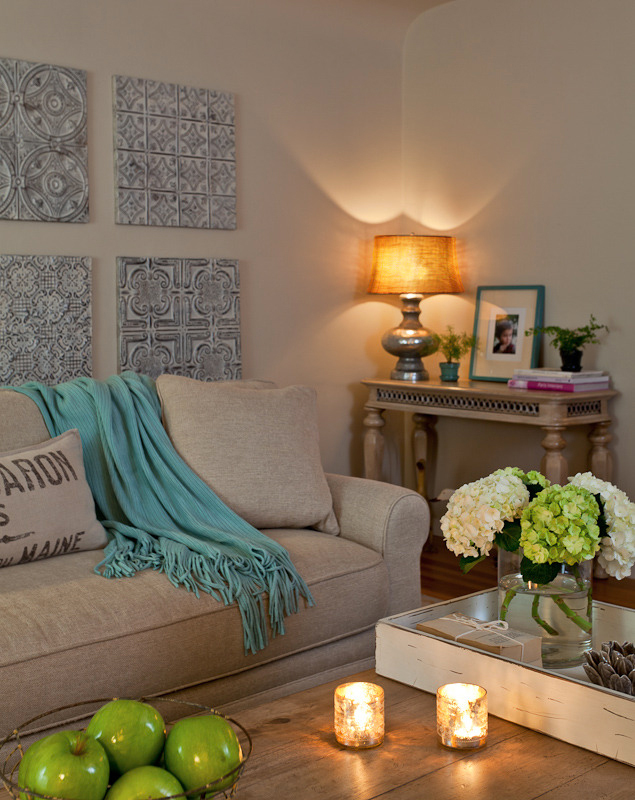 By the time we wrapped up, the living room had already become their favorite space in their home. They now enjoy lounging on the cozy kid-and-dog-friendly sofa, reading books, and playing puzzles on the roomy coffee table in front of the fireplace—just like relaxing after a great day at the beach!